As consumers become more empowered, organizations need to think about what it truly means to be “customer centric”. The best brands are the ones that have complete control over the entire customer experience. These are the companies that understand the nuances of the marketplace and know how to tailor service accordingly. Since customer expectations are changing just as rapidly as the advances in technology, enhancing the customer experience is an ongoing goal for most companies. Dimension Data found that over 82% of companies recognize the customer experience as a competitive differentiator, and 77.5% recognize it as the most important strategic performance measure. To stay competitive in the year ahead, it’s essential that you understand the most important trends. Here are 10 leading customer experience trends for 2017. Dimension Data’s “Global Contact Center Benchmarking Report” found that personalization of services supported by data analytics is the top trend that will change the call center industry in the next 5 years. In this comprehensive report by Forbes Insights called “Data Elevates the Customer Experience”, business leaders were asked a number of questions about the effect of data analytics on their organizations. When asked if data analytics has changed how managers deliver superior experiences, Figure 1 shows that 42% believed there will be a visible change in the next 2 years. When asked where their organization is reaping the most benefits from data analytics, 62% agreed that decision making is faster, while 47% saw an increase in sales revenue (Figure 2). However, the report reveals that visibility into customer activity is low, with only a handful of enterprises (6%) currently capable of seeing the entire breadth of their customers’ experiences. Moreover, Dimension Data’s study of contact center analytics found that, while 71.5% say analytics enables better agent performance, 49.3% don’t share customer intelligence outside of the contact center. This is arguably why only 34.2% use analytics to personalize solutions and services, and only 23% can provide a customized customer experience based upon user profile and analytics. 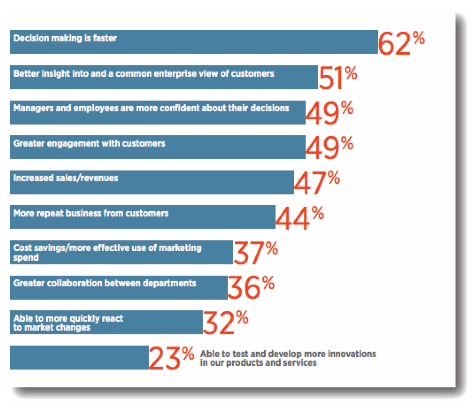 So what can call center leaders learn from this? 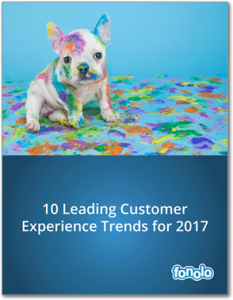 First of all, they must be ready to lean on metrics to drive growth in 2017, and secondly, they must learn how to dissect and share data better across each channel to improve the customer experience. Virtual assistants have been marketed as a consumer application, where a human can engage in two-way communication within a personal device. However, in 2017, a new wave of enterprise applications that harness intelligent virtual assistants are poised for proliferation (Siri, Alexa, and Google Now). For example, Amazon Echo will allow guests of the Wynn Hotel to query Alexa for room and hotel information. Additionally, Domino’s Pizza has introduced customers to ‘Dom’ their virtual ordering assistant. 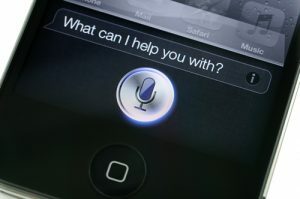 This new generation of virtual assistants is dependent on the development of improving speech recognition technology. In the call center, speech recognition software has been used to handle incoming customer calls; however, the technology has often left customers feeling frustrated and searching for human support. Ongoing research in the field of speech analytics supports the prediction that the technology will propel virtual assistants forward in 2017. In a report by Opus research, 247 out of 500 decision-makers (49%) have deployed speech analytics at their enterprises and organizations. Of those respondents, 83% achieved their expected return on investment within 12 months, with one-third receiving a return on investment in just 6 months. 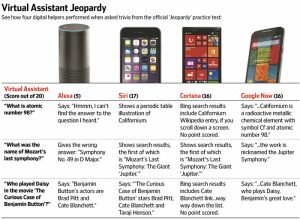 Two years ago, The Wall Street Journal published an analysis of the top four virtual assistants: Alexa, Siri, Cortana, and Google Now. Reporter, Geoffrey A. Fowler, observed how well the technologies responded to speech recognition, and found that Apple’s Siri had the greatest speech capabilities, while Amazon’s Alexa scored the lowest. Over the past couple years, with rapid technological advancements, Amazon Echo, powered by Alexa, has displayed growth in speech recognition, launching as a customer service and hospitality tool. With constant improvement, speech recognition can be used to successfully handle up to 85% of incoming customer calls, lower costs, and improve the experience in 2017. By year-end 2018, 25% of customer service and support operations will integrate virtual customer assistant technology across all engagement channels. Today customer service needs to be around-the-clock; more than half of customers say a business needs to be available 24/7. In order for a company to provide consistent, timely support, chatbots are a useful alternative to satisfy customer expectations (while preventing agent burnout). Chatbots work alongside human agents to provide a top-notch, optimized, cost-effective customer engagement strategy that can skyrocket an organization to the forefront of today’s customer experience world. As companies begin to harness this technology, learn from past mistakes, and improve capabilities through AI and speech recognition, chatbots will begin to earn the respect of users. With chatbots, consumers can access flight data, redeem rewards, find answers to questions, receive offers, and much more. This, all at a reduced cost per contact for businesses. Today, businesses should expect chatbots to respond to short, straightforward, automated queries as explained below. Despite its simplicity, bot innovation should not be brushed aside as juvenile. 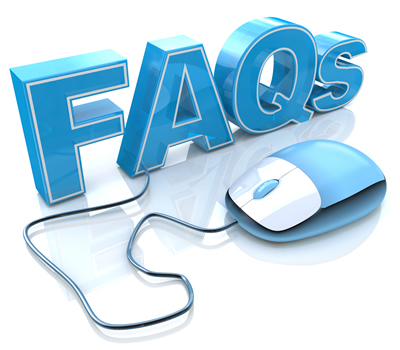 Not only does it serve as a 24/7 customer service hotline for frequently asked questions, it allows for human agents to dedicate more time to assisting more complex issues, thus freeing up other customer service channels, and redistributing time and cost more effectively. 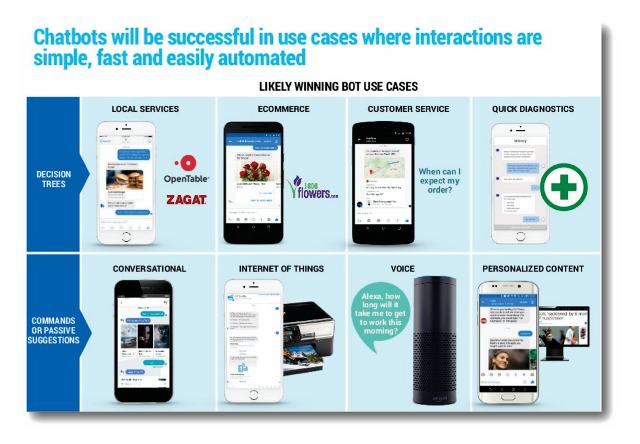 So, how will chatbots bring greater experiences in 2017? Well, it’s simply in the way they are built. The more often bots are used by humans, the more they will learn and adapt to the language, and the more intuitive they will get. Over 90% of US contact centers deal with a significant proportion of non-voice interactions, such as email or web chat, as well as telephony. Most customers today don’t want to waste time and energy navigating complex IVRs and connecting to an agent over a simple query. Part of a balanced experience is empowering customers to solve problems or issues themselves. In fact, almost 74% of decision makers vote customer experience as the top reason for offering self-assisted service channels. Aberdeen reports that companies with self-service programs enjoy an 85% year-over-year increase in customer retention rates, compared to those without self-service. Therefore, by including easily accessible online FAQs, mobile and web based self-service options, businesses can yield significant returns. That said, it’s important to note that the quantity of self-service tools are not what makes the difference, but rather the quality. Self-check-in and check-outs are notorious for delivering poor customer experiences. So, when deploying self-service options in 2017, ensure that extra effort is made with design and UX. Furthermore, if technology does fail – be it by user error or by design – ensure there is an easy way to escalate beyond any channel. In 2017, mobile search will generate 27.8 billion more queries than desktop search. Consumers use mobile devices more frequently to access information about the brand, products, and to make purchases. However, according to Gartner, through 2018, the lack of in-line contextual knowledge or support in mobile applications will lower customer satisfaction by 5%. 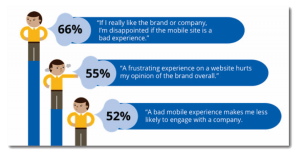 As shown in below, bad mobile experiences can hurt a brand’s reputation dramatically, and even lower engagement. For many businesses, building new support technology within an existing mobile interface is time consuming and costly. If companies want to capture customers, and remain competitive, a cloudbased solution like Fonolo’s “Mobile Rescue” is a fast and functional alternative. 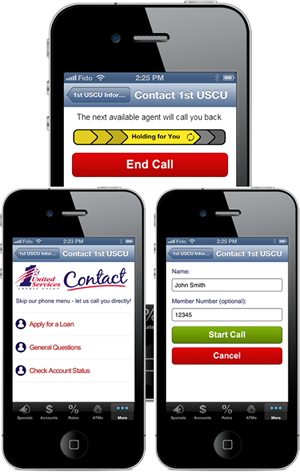 Mobile Rescue lets customers easily connect to a live agent, directly from within a brands mobile app. With one tap, customers can request support and avoid hold time. Don’t miss the last 5 trends! Download the full report below. I think chat bot and self-service is going to boom It would be better to call them AI based chatbot. We at Tagove working on the same, hopefully, it should be live coming months. The company has to focus on customer-centric approach so that they can cater maximum output. Anyways thanks for sharing some of the valuable CX trends. Thanks for sharing your feedback Sam! Waited several minutes. No sign of the download. It is not in my downloads folder. Where is it? You should see the file downloading and it should appear in your downloads folder. You should have also received a copy of the whitepaper in your email. Please check your junk mail just in case. If you still can't find it please email marketing@fonolo.com and they will send you a copy.